The first thing I thought when I met Ricky and Breanna was, ‘Wow, a match made in heaven!’They were schoolmates who found their way back to each other after a gap of few years from their first relationship! 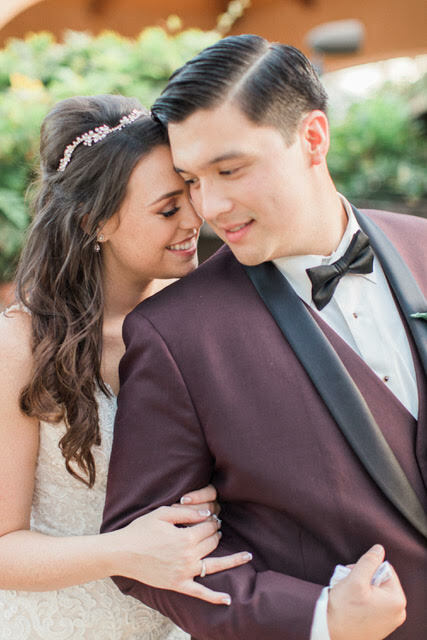 Their love was so real; you can see for yourself in the wedding photos. My team and I wanted to give our absolute best to this lovely couple. We visited Breanna during her bridal trial to figure out her exact look. 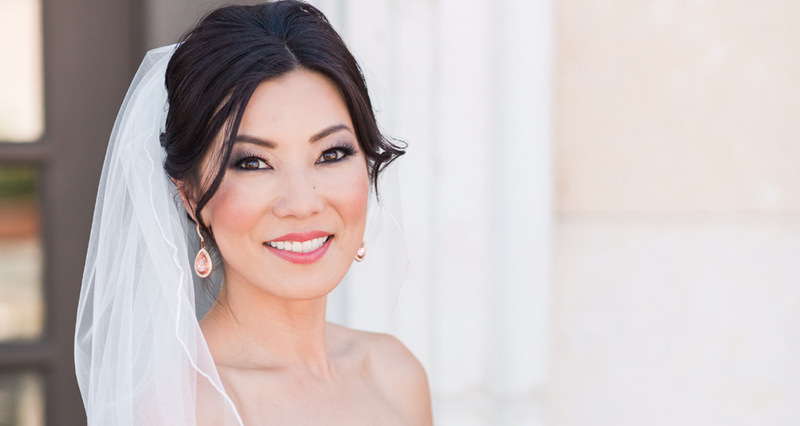 She asked us to create flawless looks for her bridesmaids. She also wanted us to help her with her hair. We collectively wanted to create a look that’s simple yet classic. Each bridesmaid’s make-up and hair was decided first. Later on, Breanna and I had a chat about what she would like for her bridal look. There were eight bridesmaids. Some of them had shiny blonde hair and others were striking brunettes. All were to wear a gown that was a stunning magenta. 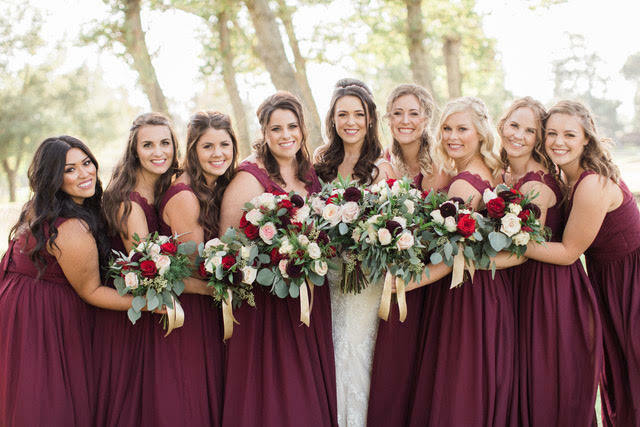 The bridesmaids were to match the look of the bride. With eight bridesmaids to style, we had quite a busy day! Our team wanted to make sure each bridesmaid looked her best and was comfortable with the look. 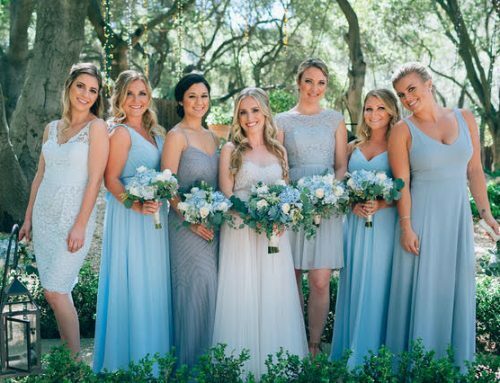 We assigned each bridesmaid an expert wedding makeup artist. 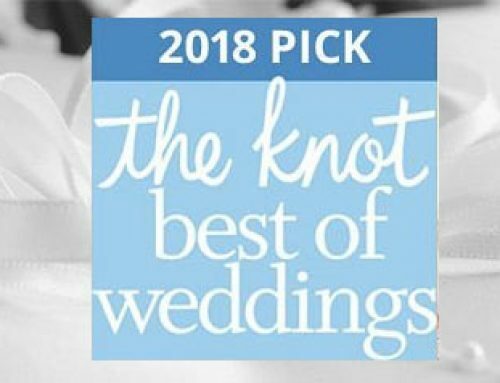 For their hair, we gave each bridesmaid a tousled half up-do by parting their hair in the middle and pulling a shock of hair from each side to tie it up in neat do at the back. We created effortless waves to make the hair look natural and appealing. 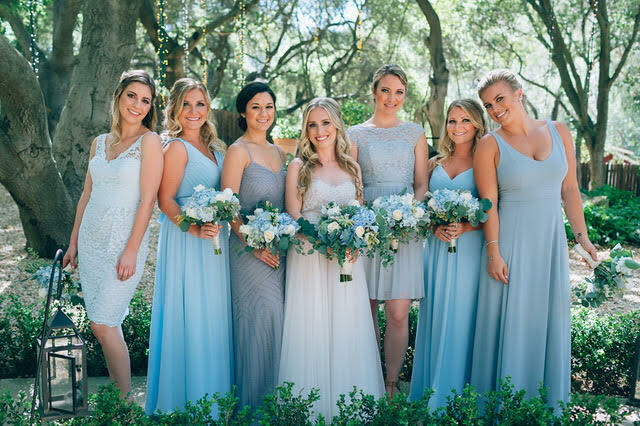 For make-up, we used each bridesmaids’ favorite foundations to give them flawless skin. Next, we primed their eyes and used their favorite eyeshadow palettes to give them the perfect bridesmaid look. By this time, Kathy Martin, an external make-up stylist had completed her work on the bride. It was our turn to create get her hair wedding-day ready! For this, we applied a hair serum to give her hair the proper nourishment for the day. We then created the perfect waves and created a small puff at the back and then placed the tiara. It was like Aphrodite had descended from heaven. The wedding was just as beautiful as the couple and we wish them the best in the world with a happy married life. We would also like to add Kudos to the food, music and venue! We had the time of our lives. It was like our very own bestie’s wedding! 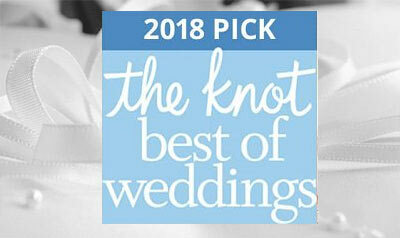 Check out Ricky’s and Breanna’s great wedding day photo collection below. Brittany Renee is a celebrity makeup artist and hair stylist based in Los Angeles specializing in weddings, fashion, commercials and events. 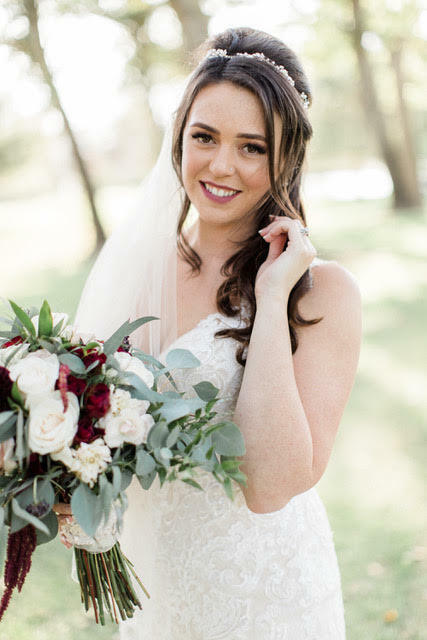 With over 10 years of experience as a makeup artist, Brittany’s unique vision, style, artistic talent, and innate ability brings out the natural beauty in her clients.